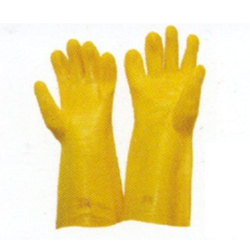 Used for application requiring protection from oil and other liquids. “United Fire And Safety Services” is a Sole Proprietorship firm, started in the year 1995 at Vadodara (Gujarat, India). We are an eminent Trader, Distributor and Supplier of high quality assortment of Industrial Hazard And Traffic Safety Products, Gas Detector, Gas Controller, Fire Extinguisher, Fire Fighting Equipment, Head Protection Safety Equipment, etc. We deal with brands like Karam, Industrial Scientific, Minimax. We also impart highly reliable Fire Extinguisher Refilling Service, Revalidation Service and Gas Detector Calibration Service. Under the able guidance of “Mr. Sandeep Mehta” (Director), we have achieved maximum faith and trust of our respected patrons.